The last agricultural acreage in Golden, Colorado. The most desirable suburb of Metro Denver. The last agricultural acreage Golden. This 6-acre parcel exemplifies the most important rules in real estate: location and accessibility. This land is zoned for agriculture with a domestic well, it offers a unique redevelopment opportunity with 3 city water taps. Adjacent to 17 acres of open space. 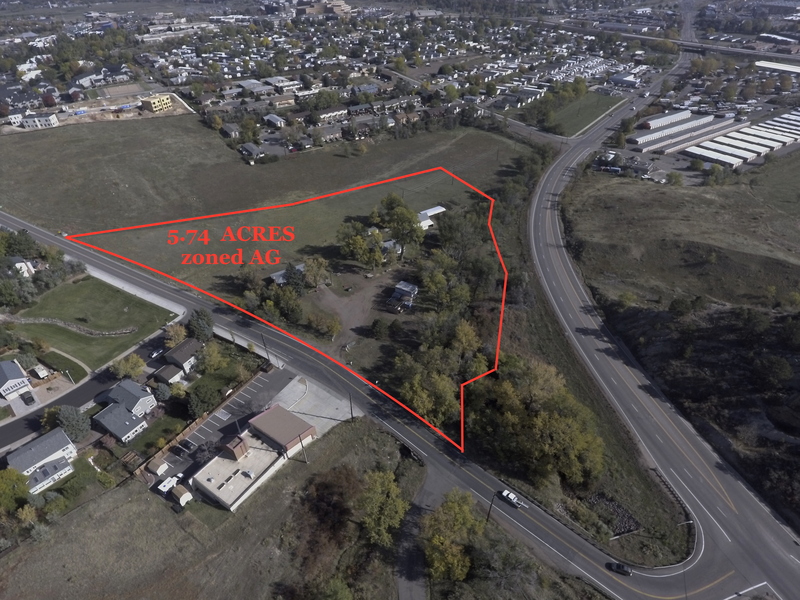 The location provides quick access to C-470, I-70, 6th Avenue, the Colorado Mills shopping area, Apex open space park, the Jefferson County Government Center and West Metro light-rail station. It is located within walking distance of Shelton Elementary, and a short drive to Splash Water Park, Fossil Trace Golf Course, and the world famous Red Rocks Amphitheater. The West Metro station provides light-rail service to Union Station in the heart of downtown Denver. From Union Station, train service is available to Winter Park Resort, Denver International Airport, and much of the United States. Golden historically guarantees solid home values, combined with excellent schools, and moderate growth. This small city has an annual 1% growth cap and the topography limits expansion. The Colorado School of Mines, a top engineering college in America, is located in downtown Golden. With a charming main street, a rich history, and a small-town feel, Golden has become the most desirable suburb of Metro Denver.